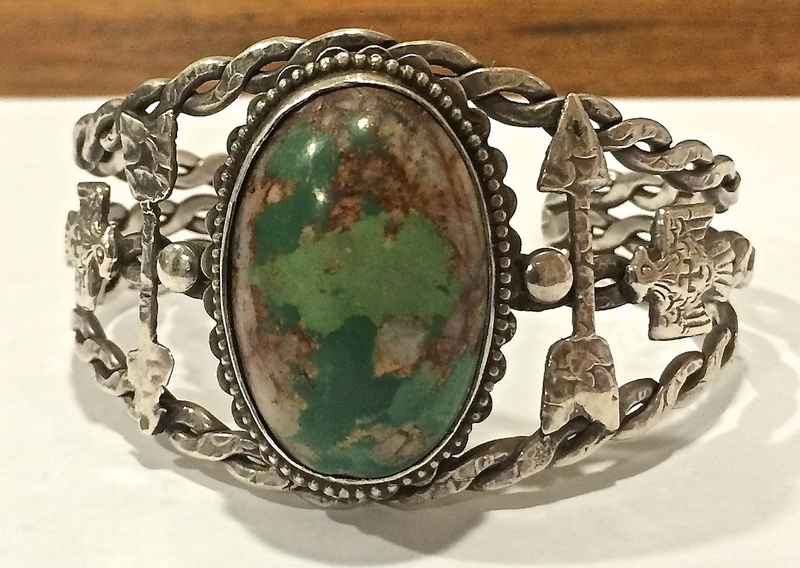 Whirling Log Bracelet – What do the Jagged Ovals Mean? 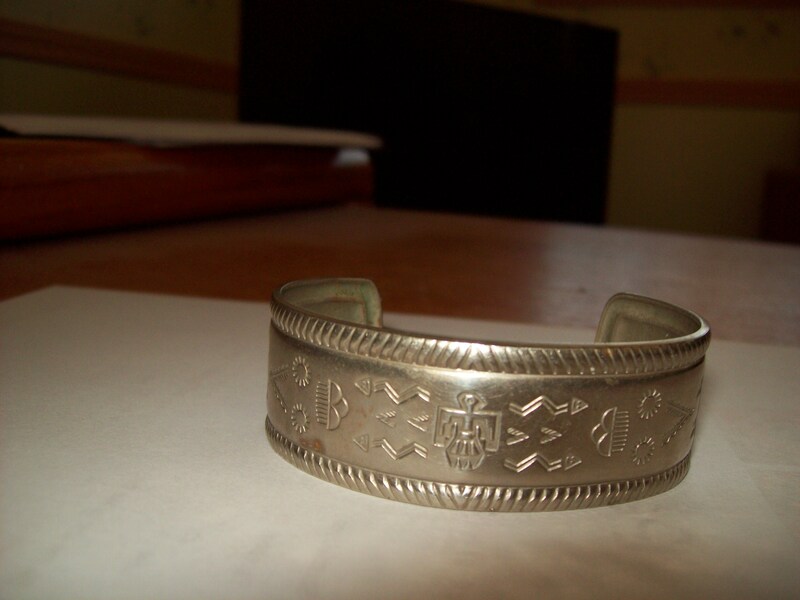 I have a silver wrist cuff from my grandmother and I wanted to find out some info about it. I found out about the whirling logs on it, but I’m curious about these ovals with jagged interior edges on them and what they mean. 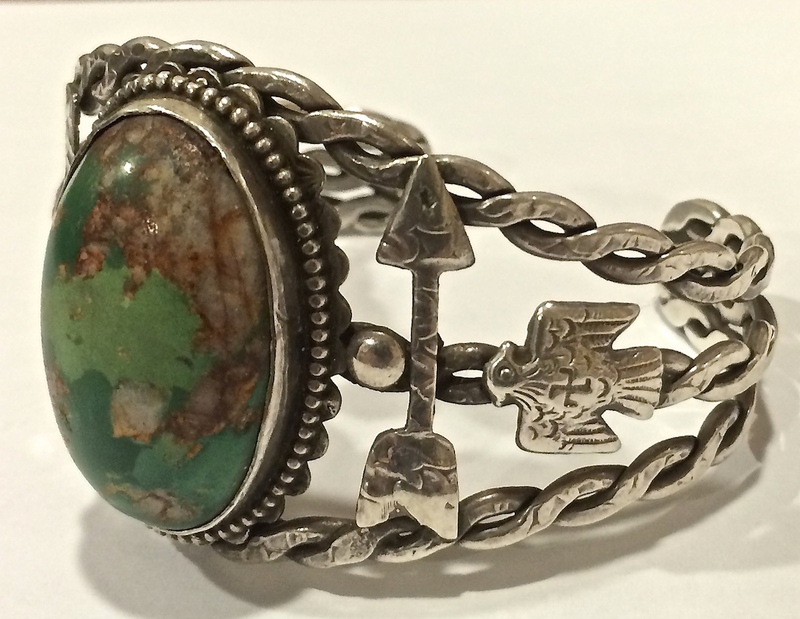 How old would you estimate the cuff to be with the whirling logs? 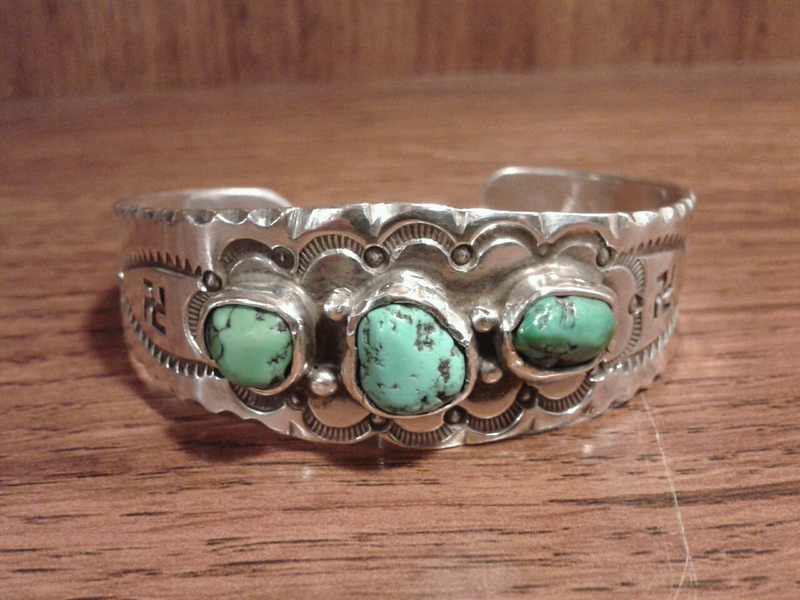 There’s also three turquoise stones on the cuff. The best way to find out how old something is would be to learn the provenance of the item. The provenance is the back-story, its history, its first known origin. 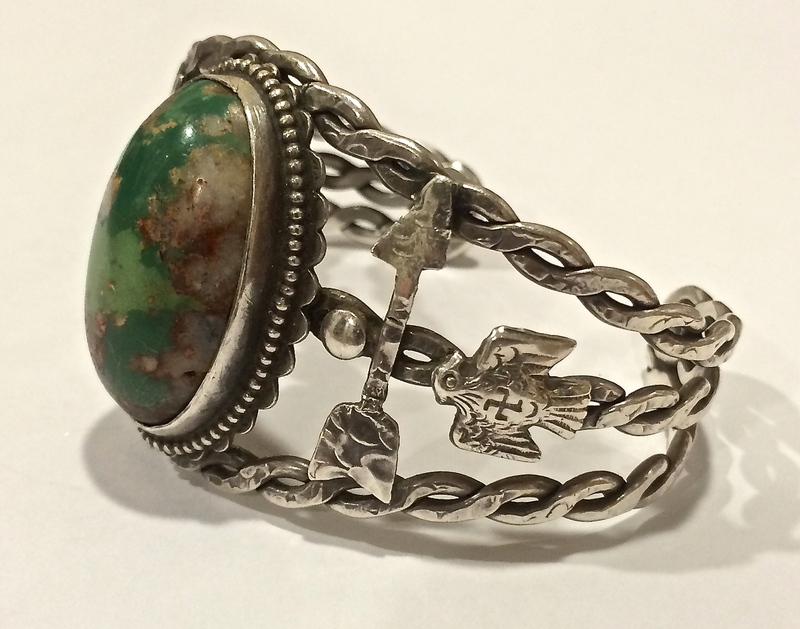 You ask me and I can guess but you have the best way to find out – your grandmother – or if she is no longer alive, you could ask your grandfather, your parents or a friend who might know when and where your grandmother obtained the bracelet. Because of the intrigue of the whirling log symbol, some contemporary artists are using it on modern pieces. 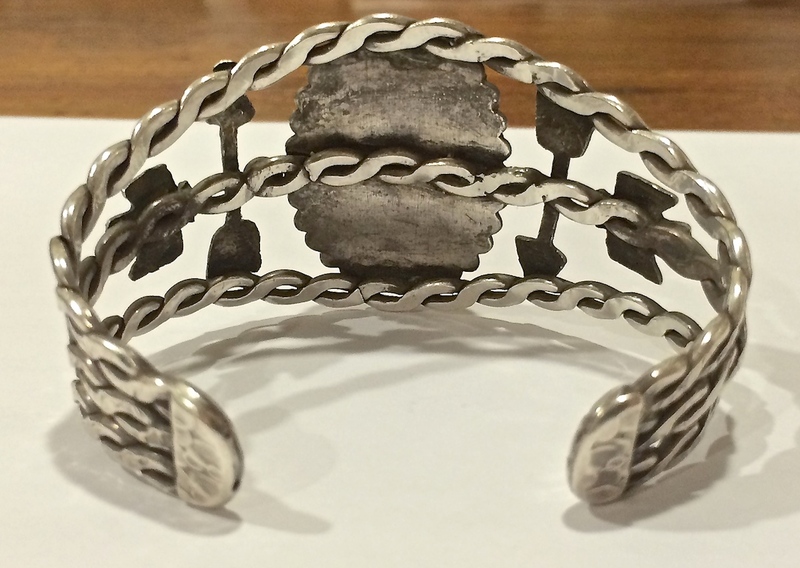 Does the bracelet have a hallmark? 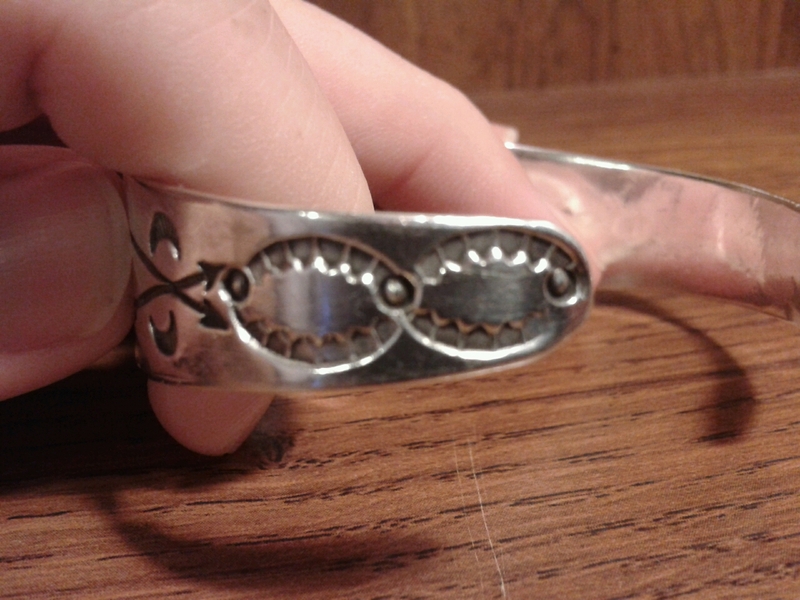 You didn’t show a photo of the inside of the bracelet. That is often helpful. 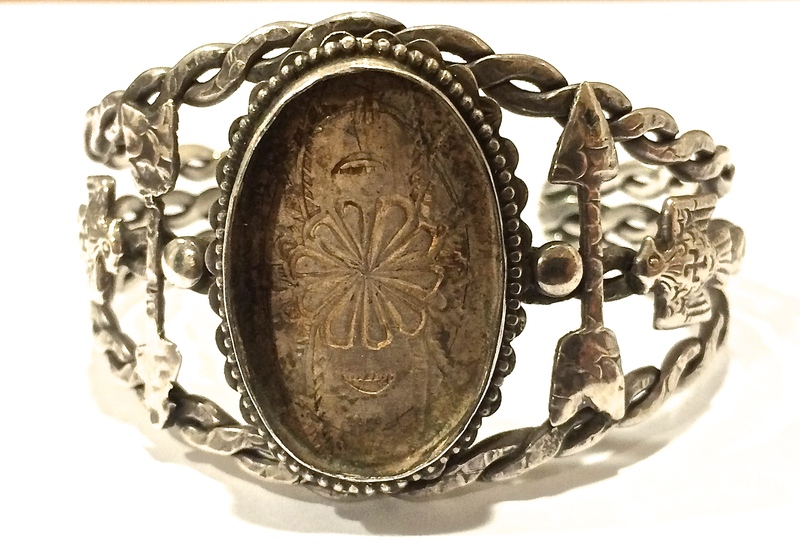 As I state in my article on, Whirling Logs, except for contemporary instances, most uses of the symbol on bracelets were before 1940. As far as the stamp work, often the stamps are design elements, not symbols intended to stand for anything in particular. The stones look like old style, deep set, smooth bezel. 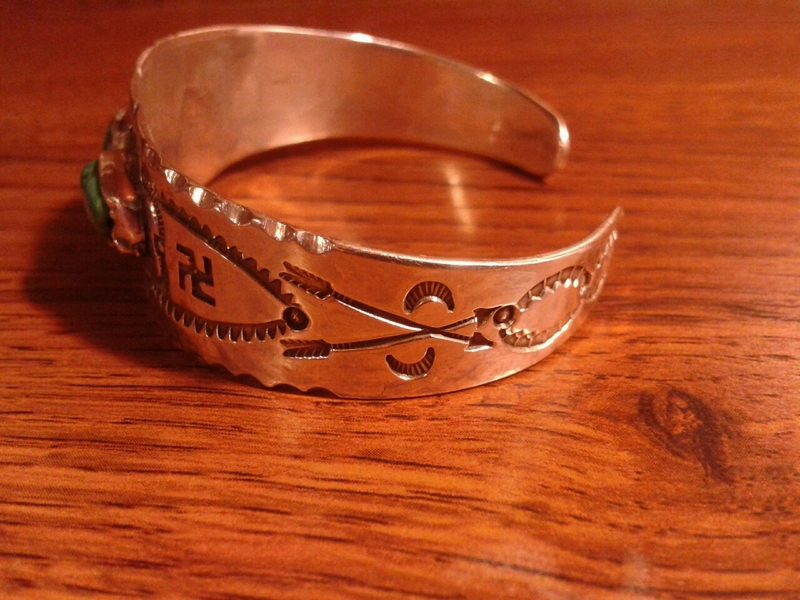 A very interesting bracelet. It is very shiny so I expect that you have polished it? 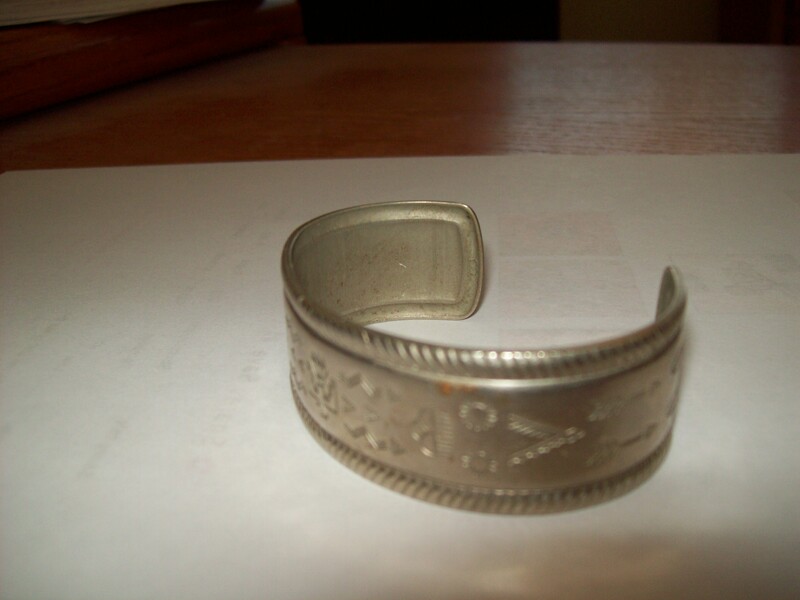 Otherwise it would have quite a patina on it if it is from pre 1940.